Market - Wealth Building Real Estate, Inc. 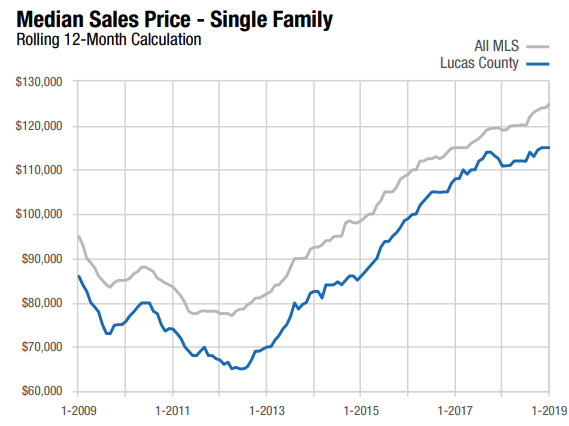 This data from the Toledo Board of Realtors shows that real estate sales prices finally stabilized in 2012 after the nationwide housing crisis of 2008. Prices have been on a steady incline every year since then. 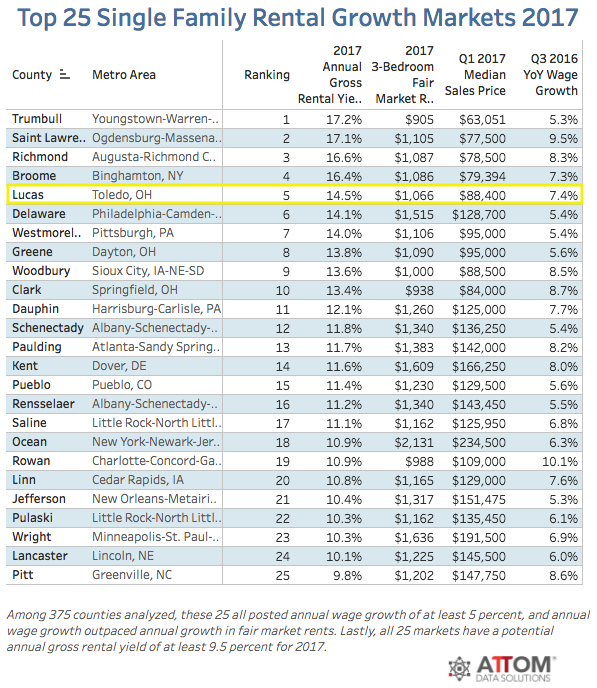 Toledo, Ohio (Lucas County) is ranked 5th in the nation for buying single family rentals!